Dr. Richard Alley, Evan Pugh Professor Department of Geoscience, and Earth and Environmental Systems Institute, has ranged from Antarctica to Greenland to help learn the history of Earth’s climate, and whether the great ice sheets will fall in the ocean and flood our coasts. With over 240 scientific publications, he has been asked to provide advice to the highest levels of government, and been recognized with numerous awards including election to the US National Academy of Sciences and the Royal Society. He hosted the recent PBS miniseries Earth: The Operators’ Manual, and has been compared to a cross between Woody Allen and Carl Sagan for his enthusiastic efforts to communicate the excitement and importance of the science to everyone. Jennifer Pencek serves as Programming Coordinator of the Center for Women Students, leading the center's outreach to Penn State students and the public on issues including sexual violence, stalking, domestic/dating violence, and more. Whether it is speaking to students inside classrooms, facilitating programs for Greek life members and others who request programming, or organizing and promoting evening programs featuring guest speakers, Pencek is passionate about advocating for all students at Penn State. 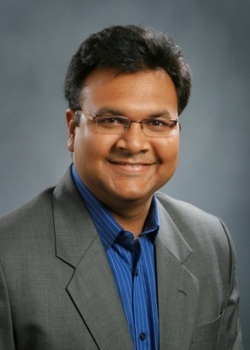 Khanjan Mehta is the Founding Director of the Humanitarian Engineering and Social Entrepreneurship (HESE) Program and Assistant Professor of Engineering Design at Penn State. Mehta has led technology-based social ventures in Kenya, Tanzania, India, Sierra Leone, Mozambique and other countries. These ventures range from telemedicine systems and ruggedized biomedical devices to low-cost greenhouses, solar food dryers, cell phone-based social networking systems, and knowledge sharing platforms for self-employed women. Katie Tenny is a licensed professional counselor in the office of Counseling and Ps﻿ychological Services at University Park. S﻿he also coordinates the Bystander Intervention Initiative on campus which comprises over 50 campus units and student organizations. Ms. Tenny earned a dual-title master’s degree from Penn State in Counselor Education and Comparative & International Education. Her areas of focus include sexual assault and domestic and dating violence prevention, as well as high risk drinking among college students. Marcellus C. Taylor serves the Penn State Harrisburg Community as the Coordinator of Student Activities & Fraternity/Sorority Life in the Office of Campus Life & Intercultural Affairs. 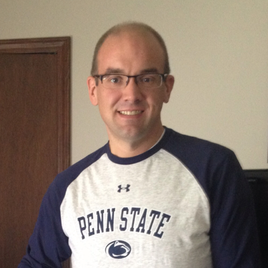 He earned his Master of Education in Training and Development from Penn State Harrisburg. In addition to his role at Penn State Harrisburg he is a Empowerment Coach and Author. Andrew Peck is the Director of the PRISM Research Group, Associate Director of Undergraduate Studies for the Department of Psychology, and a Senior Lecturer. He is involved with a number of faculty and student groups and committees, but he is best known on campus for teaching Introductory Psychology and Psychology as a Science and Profession. Dan Murphy joined Penn State in 2012 to serve as the Director for Student Orientation and Transition Programs -- an office charged with providing leadership for New Student Orientation, Welcome Programs, and various change-of-campus initiatives for students transitioning to University Park. 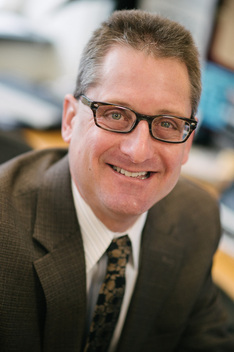 In addition to his work with orientation and transition programs at Penn State, he has served in a variety of leadership positions with the Association for Orientation, Transition and Retention in Higher Education. Dan recently completing a term on the Association's Board of Directors and authored a chapter on technology use in orientation programs for the Association's Orientation Planning Manual. 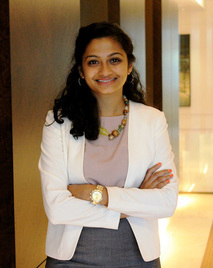 Anjali Krishnan is a senior double majoring in Accounting and International Politics. She is currently an At-Large representative for UPUA, University Relations Director for Lion Ambassadors and a member of Fanaa acapella team. In the past she has served as Business Manager of the Daily Collegian. Anjali will be exploring the theme of engaged scholarship with regards to convergence of events held by academic departments and curriculum at Penn State. Dan Combs is a senior in the Schreyer Honors College studying chemical engineering and minoring in Spanish. He has previously served as both President and Treasurer of the Interfraternity Council, which governs the largest fraternity community in the nation. He is also a member of Men Against Violence, a group of men dedicated to ending sexual violence at Penn State. Combs will be analyzing the issue of sexual assault on college campuses and what cultural changes need to be adopted before the end of sexual assault can be realized in America. 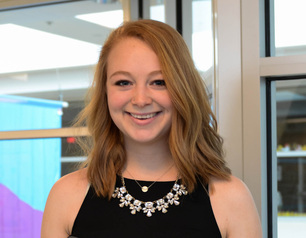 Julia Jacobs is a senior studying Political Science with minors in Sociology and Spanish from West Chester, PA. She is involved with Penn State Lion Ambassadors and her THON committee. Julia will be opening up conversation about mental health on campus by discussing a new initiative to unite students who may be fighting similar battles. 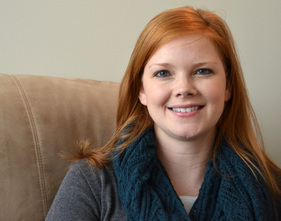 Melissa McCleery is a senior studying women's studies, political science, and spanish. She stays busy as a tour guide with Lion Scouts, a writer for Onward State, and as the Chair of UPUA's Sexual Violence Prevention and Awareness Roundtable, among other things. Melissa's talk looks at sexual violence as one example of the different and negative treatment female Penn Staters face and discusses how a culture of sexism impacts female students' Penn State experiences. Sarah Kidder is a junior studying Biobehavioral Health with minors in Global Health, Spanish, and Biology. She is a research assistant in a Behavioral Neuroendocrinology Lab as well as an intern with the Malini Foundation and a member of the Penn State Equestrian Team. Sarah will be speaking on the issue of mental health in college students. She believes with an increase in awareness of the resources available and a push for more, students suffering from these difficulties can finally perform better in school. 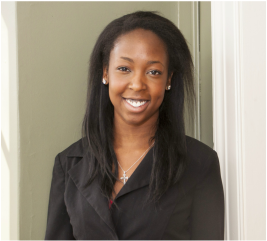 Awele Ajufo is sophomore majoring in Health Policy and Administration while on the Pre-Med track. She currently attends Penn State Abington and is the Student Government President of this campus. She is finishing up her final semester at Abington and will be continuing her Penn State education at University Park in the fall. She will be discussing the ways in which she believes Penn State can further unify as a university while sharing the unique experience she had by attending a commonwealth campus. Dom Mirabile is a senior studying electrical engineering with interests ranging from international politics to data analytics. As the THON 2014 Donor & Alumni Relations Director, he saw the inter-workings of one of Penn State's largest organizations and went on to lead two smaller ones in his senior year. Dom will be discussing the relationships that student orgs have with the institution and challenging the roles and responsibilities of each party in creating successful partnerships. Maura Clark is a senior in Schreyer’s Honors College studying history and seeking a BFA in drawing and painting. She serves as a member of the Executive boards of Lion Ambassadors and a small good deeds club called Go Change Move. Maura will be talking about her experience after sexual assault and the importance of listening. Ryan Henrici is a senior studying biochemistry and molecular biology. During his time at Penn State, Ryan has been deeply involved in undergraduate research through his major and peer mentoring. Ryan's Penn State experience most recently culminated in being named a Marshall Scholar and student ambassador to the United Kingdom. At State of State, Ryan hopes to explore Engaged Scholarship from a student's perspective and discuss strategies to enable every student to have a similarly enriching and engaging undergraduate experience. John Schaffer is a senior studying Political Science and is the President of the Council of Commonwealth Student Governments (CCSG), the student government that represents Penn State's nineteen Commonwealth Campuses. John started at the Mont Alto campus where he spent two great years before transition to UPark in fall of 2013. This experience has provided him with knowledge and experience about Penn State's Commonwealth Campuses, the transition to University Park, and the difficulties that students may face adjusting academically, culturally, and socially to the new environment.